Born and raised in Amman the capital of Jordan, Farah studied “Industrial Engineering & Management” at the German Jordanian University in Amman. Following her studies, Farah began her career as a Project and Bid Manager for the international market for the German Railways and moved to Berlin, Germany.During her time there, Farah gathered significant experience in railway projects in the Middle East and the international market in one of the world’s leading transportation and logistics companies. The relentless desire for a career with a social impact prompted Farah to look beyond her current career path and venture into the social sector, which is what led her to Amani’s Social Innovation Management program. 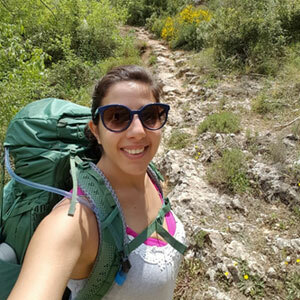 In her free time, Farah can be found hiking, swimming or binge-watching TV shows.